Eton is right here from the village of Fond Blanc. He has five brothers and two sisters who still live in the village with his parents. Eton loves being able to have people to play with whenever he wants here at the orphanage. 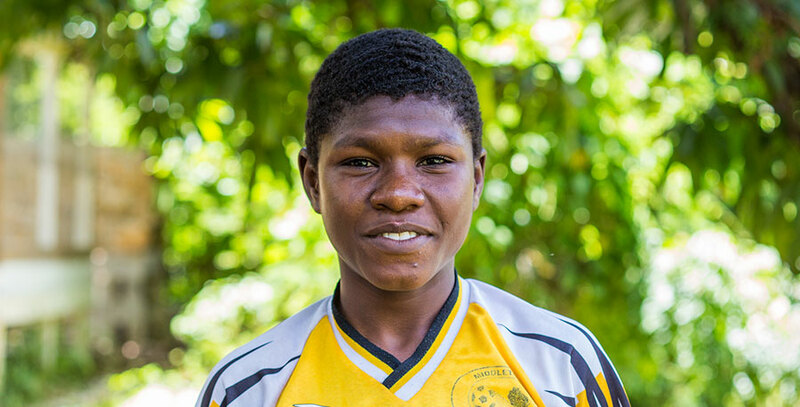 He really enjoys playing soccer with everyone, especially his best friend Mackenson. When he gets older, Eton would like to become a farmer to grow crops around Fond Blanc. He likes that the orphanage isn’t far from home.